Bateig participates in the first edition of Marble On, an initiative promoted by the Association of Marble of Alicante and the city hall of Novelda. 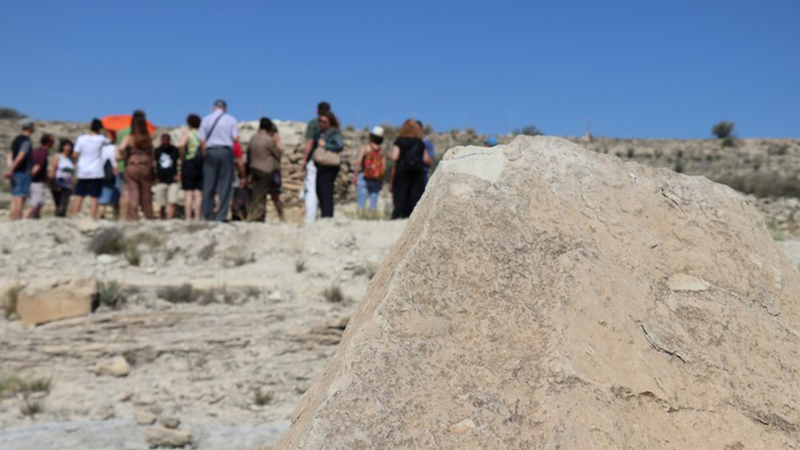 Over a century of history, the segment of the stone gets involved in this project to provide numerous different activities as expositions, routes, talks and workshops. Raise awareness a natural Stone of the municipality of Novelda is the “leit motiv” of these sessions, held between the 14th and 17th of June. Bateig is one of the historical companies of the industry with more than 140 years in business, and it was the responsible for the opening of the initiative Marble On with the talk “Bateig the stone of Novelda”. Vicente Pina, studious of this unique material, disclosed the relevance of the natural stone over the years, as well as its presence in multiple projects of various forms, private and public, national and international. Bateig Natural Stone together to other companies in the sector put the scope of their assistance its facilities. Over 120 persons visited the factory and the quarry and knew how it is the daily life of Bateig, thanks to the responsible for the quarry Jorge Martinez and the assistant manager Gregorio Berna. In addition, they had been available to visitors following and responding their doubts. The participants discovered how are carried out the proceeding of cut and the standard of extraction in the quarry, until the stone arrives to the factory. Once there, the blocks are proceeded in gang saw, block cutters, polishing machines… until we get the final outcome desired by the customer. In Bateig we are using the latest technology CNC machines, which allow you to create various designs: mouldings, curves, capitals, columns; depending on the customer needs. For these pieces is imperative the manual work, where provide the final finished. On the other hand, the visitors of the quarry were witnesses of some of the shelters of past stonecutters erected in the area. Ethological heritage for excellence, restored by Bateig Natural Stone, the original design of each element was committed and respected in a scrupulous way. No doubt the first edition of Marble On has made an amazing opening of the natural stone industry of Novelda and it has a positive influence to its attention and disseminates information.